MAC Cosmetics Black Friday/Cyber Monday has started early! 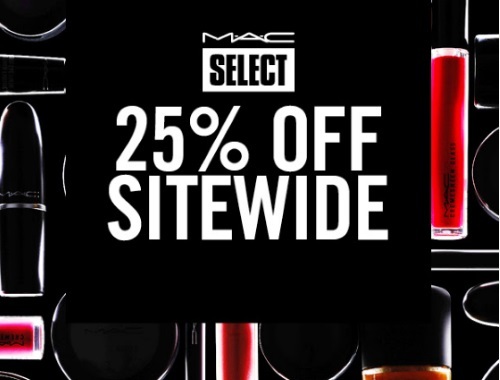 Save 25% off sitewide if you are a MAC Select member! Anyone can join and it's Free! You must be logged into your MAC Select account for the promo code to be applied. Enter the promo code MAC25 to get the discount. Some exclusions apply including select products including but not limited to VIVA GLAM; limited life collections; kits sold at a value; Custom Palette; select professional products; Goodbyes; select special deco-packaged products; Holiday Snow Ball collection or Holiday Snow Ball colour products. Offer is valid November 22-27, 2017 online and in-store (at MAC Free-standing stores).